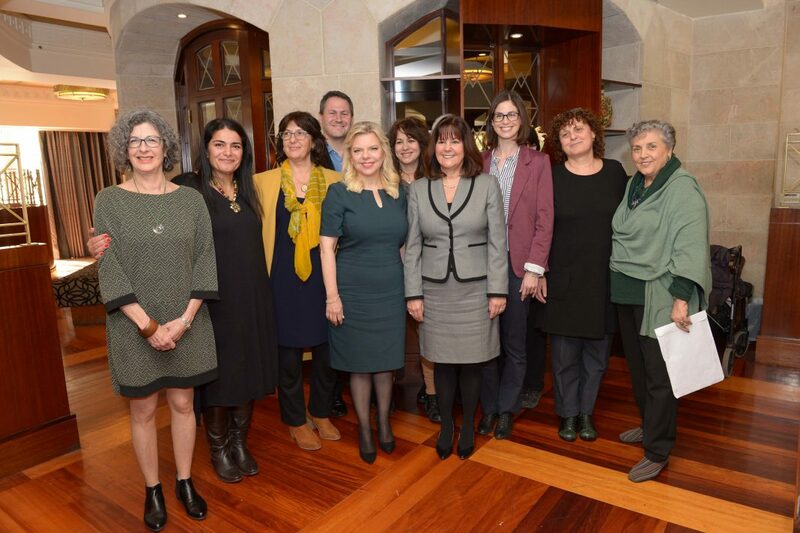 On January 22nd, Sara Netanyahu and Karen Pence met with a group called the Israeli Organization for Art Therapy. The two women led a roundtable discussion for women art therapists sharing their thoughts on alternative therapeutic treatments for individuals with special needs and veterans with Post Traumatic Stress Disorder (PTSD). There is much to be said about the current visit of the United States Vice President Mike Pence’s visit with Israel’s Prime Minister Benjamin Netanyahu. However, looking at the table led by Sara Netanyahu and Karen Pence this morning shows how much farther the U.S.-Israel relationship is capable of going. These women sat together at a table in Jerusalem entirely surrounded by strong and smart female colleagues coming together to learn about developments in healing for so many people, through art therapy and music therapy and animal assisted therapy. Karen Pence spoke of her decision to make the topic art therapy a primary focus of hers while in the role of Second Lady. “As I became Second Lady and was asked, ‘What would you like your one initiative to be?’ I realized that art therapists are very misunderstood. Art therapy is not arts and crafts. You are mental health professionals. Most of you have a Master’s or doctor degree. This is a type of therapy,” she said. The women ended their visit by participating in a joint art exercise with everyone at the table.